As rock and roll surged forth in the mid-1950s into the national and global consciousness, an avalanche of African-American vocal groups helped mightily to lead the charge, even if the history books don't always report it that way. The Drifters, Clovers, Moonglows, and Midnighters were at the head of that long line (they're all prominently featured on Bear Family's 'Street Corner Symphonies' series). Yet the most popular of them all from a commercial standpoint was a finely honed quintet of expert balladeers whose vocal harmonies were as delightful as their material was refined. That carefully crafted polish led to pop crossover status on an epic scale. 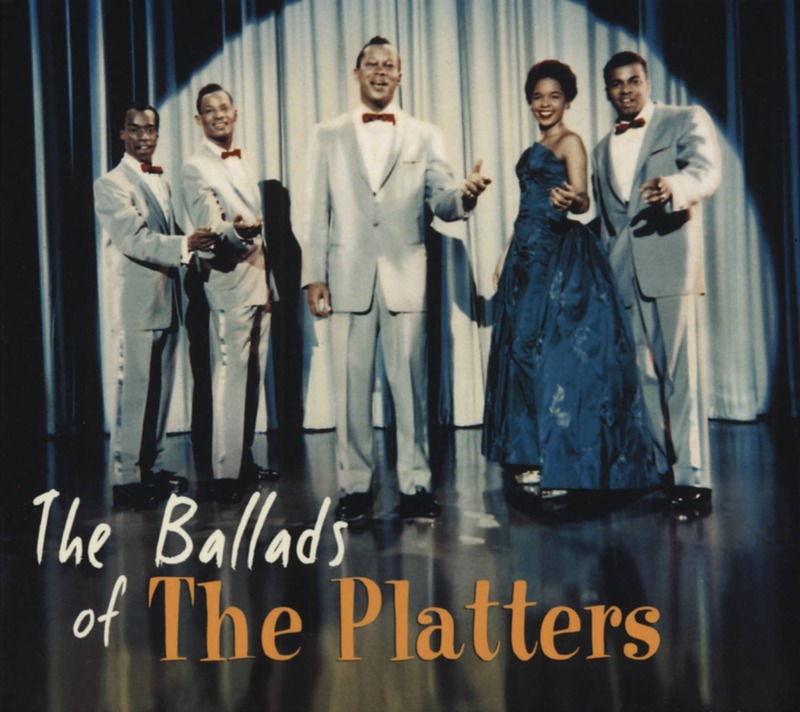 The Platters had two things going for them that their competitors couldn't claim: the stratospheric lead tenor of Tony Williams and the writing and managerial skills of Buck Ram. Instead of sticking with the all-male lineup they'd started out with, the group brought in cute-as-a-button teenager Zola Taylor, further setting them apart from the great majority of their contemporaries. They debuted in Los Angeles as a standard-issue R&B outfit, but after Ram took over their supervisory reins, the group focused on pop supremacy. 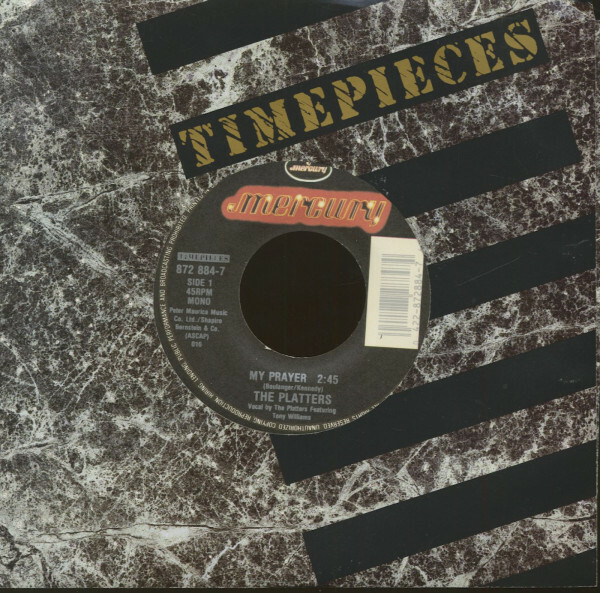 The L.A. R&B vocal group scene was like no other in its extreme interchangeability. Members switched groups and groups changed names seemingly at the drop of a note or the composition of a song. Standouts such as Jesse Belvin, Richard Berry, and Cornel Gunter were involved in so many interwoven aggregations that it's a major challenge to keep their tangled lineage straight. Thus, it shouldn't come as any great shock that the crew that morphed into The Platters started out in 1952 with zero members of the polished quintet that we know and revere on board. Called The Flamingoes (not to be confused with the Chicago-based quintet of the same moniker, minus the 'e'), the loose-knit aggregation initially included Gunter before he moved on to form The Flairs as well as Jody Jefferson, future Penguins mainstay Curtis Williams, and two melodious brothers: Alex and Gaynel Hodge. Bass singer Herb Reed was the first 'real' Platter to join the ranks. Born August 7, 1928 in Kansas City, Missouri, Reed sang in a church choir before venturing out to L.A. when he was 15. He served in the Air Force and reportedly sang in a Los Angeles chapter of The Wings Over Jordan Choir, though he made ends meet washing cars, pumping gas, and driving a jitney cab. Second tenor David Lynch came into the picture during this same period. Born in St. Louis on July 3, 1929, he arrived in L.A. in 1942, later serving in the Navy. Reed, Lynch, and the Hodge brothers picked up a background vocal gig at a June 1953 session for Federal Records by tenor sax wildman Big Jay McNeely. Precise harmonies weren't necessary. The quartet enthusiastically belted the title of the song, Nervous Man Nervous, over and over and provided handclaps while McNeely ferociously honked and wailed. When the saxophone smoke cleared, Federal A&R man Ralph Bass introduced the group to a singer he had rehearsing in an adjacent studio, exercising his pipes on something operatic. His name was Tony Williams. Samuel E. 'Tony' Williams was a native of Elizabeth, New Jersey, born April 5, 1928. Another Air Force vet (he sang for three years in Special Services and was stationed in Guam, Japan, and the Pacific Islands), Tony got his feet wet singing around Jersey and New York until he headed west. He had an in: his older sister Bertha was singing professionally under the handle of Linda Hayes and having some success at it. Yes I Know (What You're Putting Down), her snappy answer to Chicago pianist Willie Mabon's salacious R&B chart-topper I Don't Know, was almost as hot a seller as its predecessor, sailing to #2 on 'Billboard's' R&B 'Juke Box' chart via John Dolphin's Recorded in Hollywood label. She'd score another charter the following year with Take Me Back. Always on the lookout for fresh talent that would please King Records founder Syd Nathan, his boss back in Cincinnati (the Bronx-born Bass had previously served in similar A&R capacities for Black & White and Savoy, piloting Johnny Otis' spectacular string of hits at Savoy before inaugurating Federal with The Dominoes' ribald Sixty-Minute Man in 1951), Ralph first heard Tony unfurl his prodigious pipes at one of the amateur shows that Bass and deejay Hunter Hancock staged on Monday evenings at the Club Alabam in Watts, Otis' band providing swinging backup. Even though Williams didn't win the competition that evening, an impressed Bass signed him to a Federal contract. Deciding it might be easiest to market Tony in a group context, the savvy producer teamed the newcomer with the quartet he used to back Big Jay. It was a match made in musical heaven. 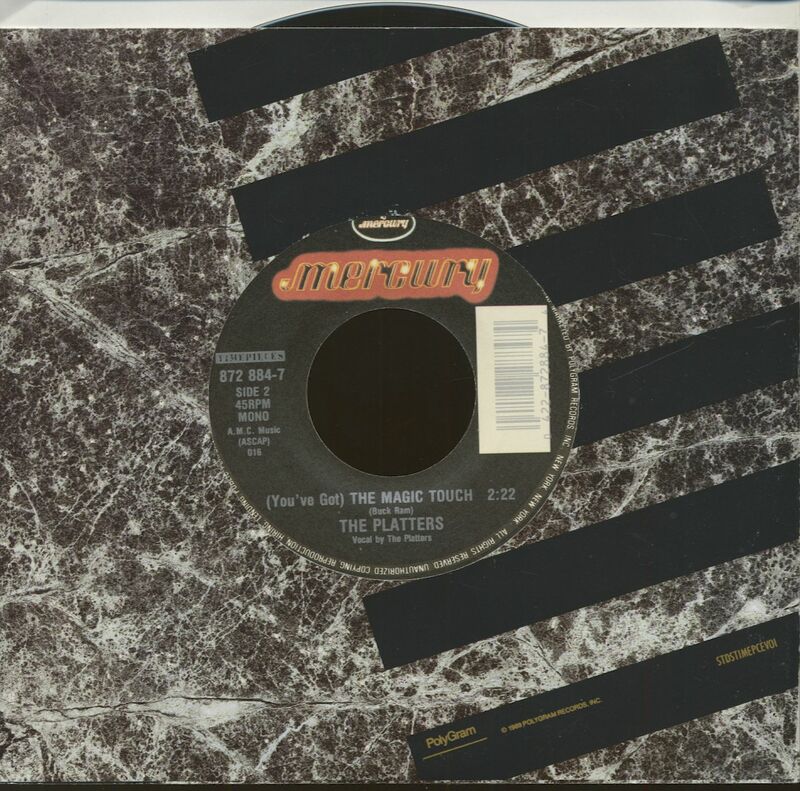 Customer evaluation for "My Prayer - (You've Got) The Magic Touch (7inch, 45rpm)"